Everyone who has ever seen Senna rocketing around a racetrack in a red-and-white car knows that McLaren and Marlboro go way back. It's just not so well known how close the two are tied, and how much their current operations still reflects that old tobacco money. This brief McLaren history lesson comes from F1 devotees GeeHalen and Steve Hopkinson, writing in response to our 50th anniversary article on the Kiwi car company. 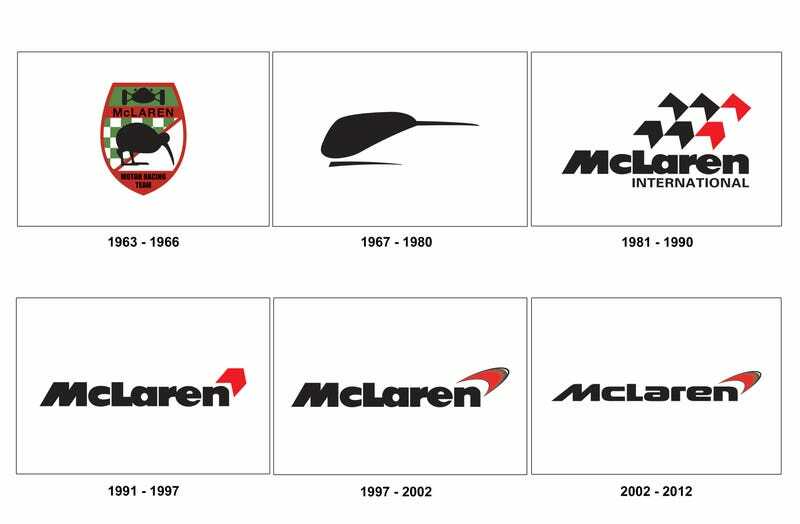 Even today, the McLaren logo is a stylised Marlboro chevron, as you can clearly see from the evolution of the logo. Although that doesn't stop some people from claiming (without any basis) it's a stylised kiwi. Interestingly, the heritage F1 cars on display at the McLaren Technology Centre have all had decals added to the bodywork to 'smooth out' the Marlboro chevrons, to disguise the connection to the cigarette company. True fact. And ironically, driver Stefan Johansson was dropped from the team for (among other reasons) smoking far too much. Ron Dennis took that as a sign he wasn't taking care of his health, and therefore wasn't committed enough to maximising his potential. Ironic, given that his car at the time was painted like a five-metre-long cigarette packet. GeeHalen and Steve (along with jnecr) went on to explain that the 'MP4' in McLaren's naming scheme also has 'Marlboro' in it, not 'McLaren' as you might think. [It] was Marlboro Project Four, Project Four being the name of Ron Dennis's racing team which bought out McLaren and adopted its name. In reality, the team we call 'McLaren' today owes much more to Project Four than to Bruce McLaren's team – Dennis just bought the team and took its name, heritage and racing licence. Another interesting fact: Ron Dennis was the team principal of a race-winning Formula Two team at the age of 23. Ridiculous. That team, Rondle Racing, would go through various changes before eventually becoming Project Four and subsequently McLaren. So there you have it - while the Marlboro money is gone from McLaren, there are still traces of the sponsorship with the company today. Now you know.